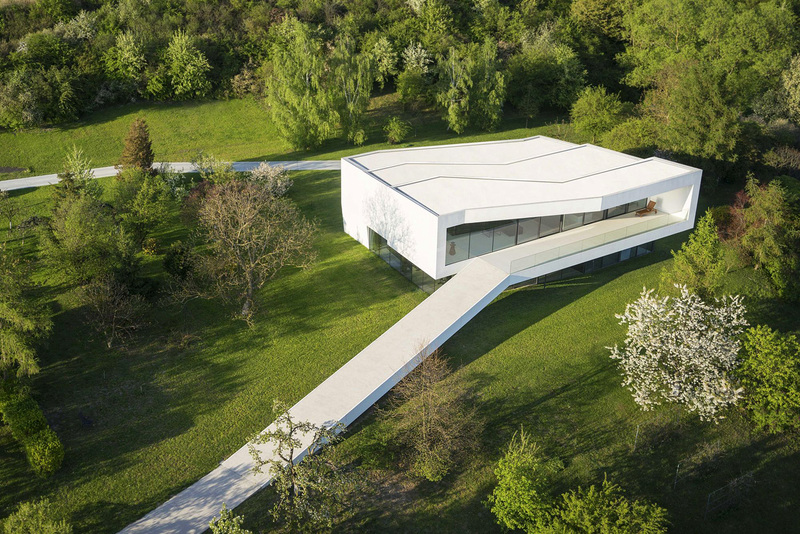 The “By The Way House” was built by Polish architect Robert Konieczny of KWK Promes, with the driveway “wrapping” the home and making up the roof and walls to create an unbroken ribbon. 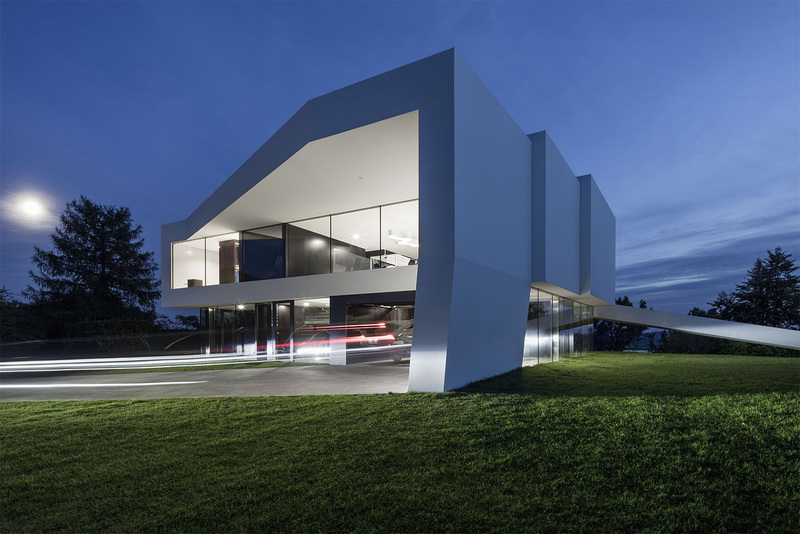 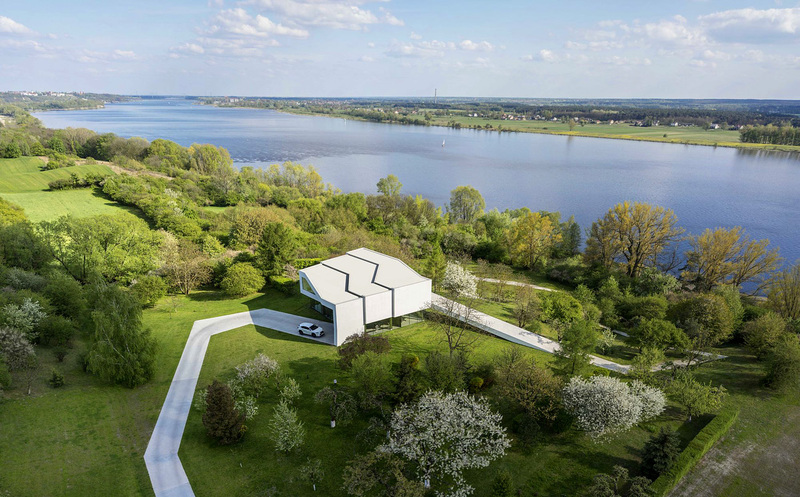 Occupying an isolated part of central Poland and overlooking a river, the winding driveway that extends from both sides of the home is tasked with navigating the hilly terrain to reach the road above and the pier below. 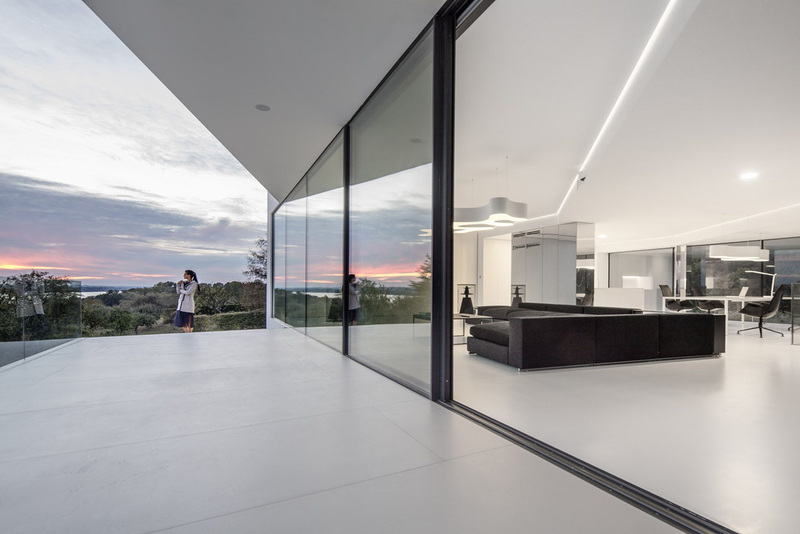 On one side of the home, the driveway peels up from the ground and meets the floor of the home, while dropping down on the other side. 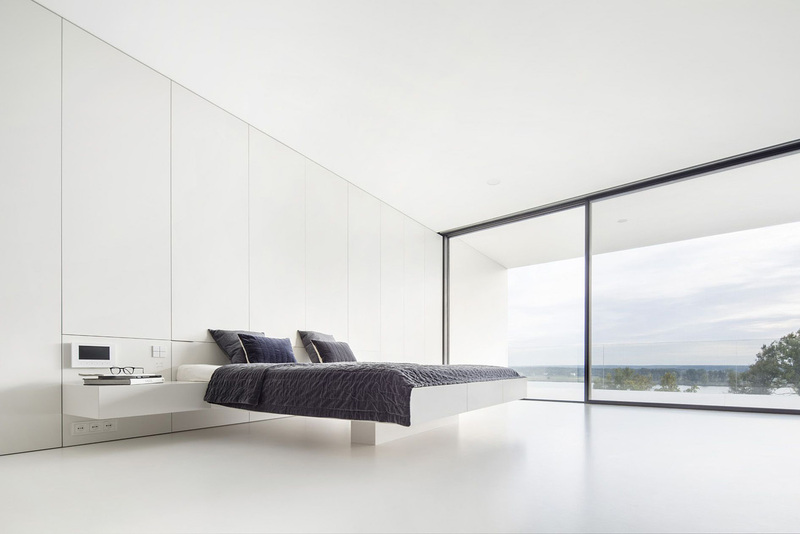 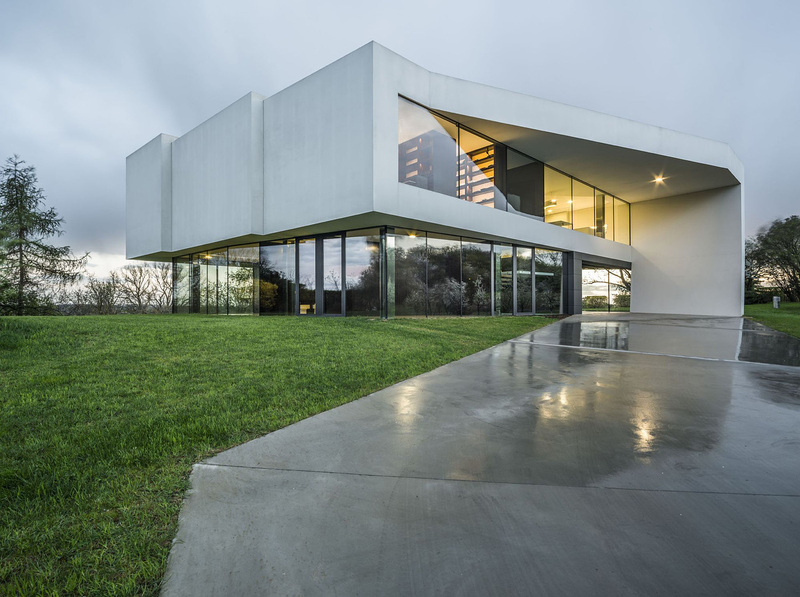 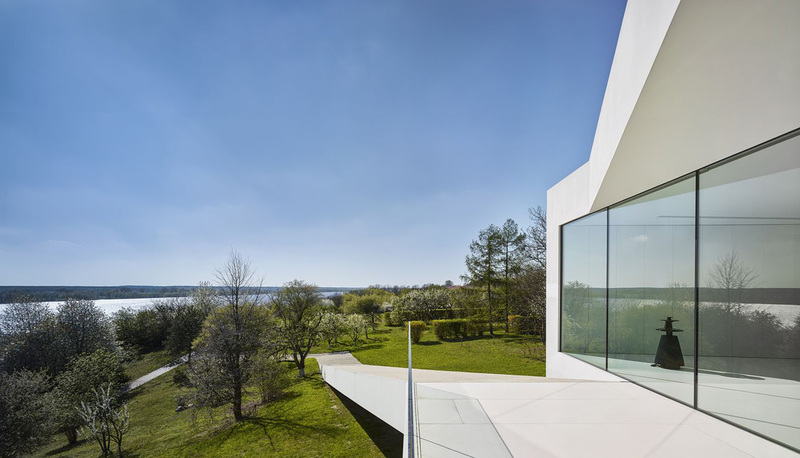 The walls of the home not made up by the concrete ribbon are lined with large glass windows, which offer sweeping views of the river below. 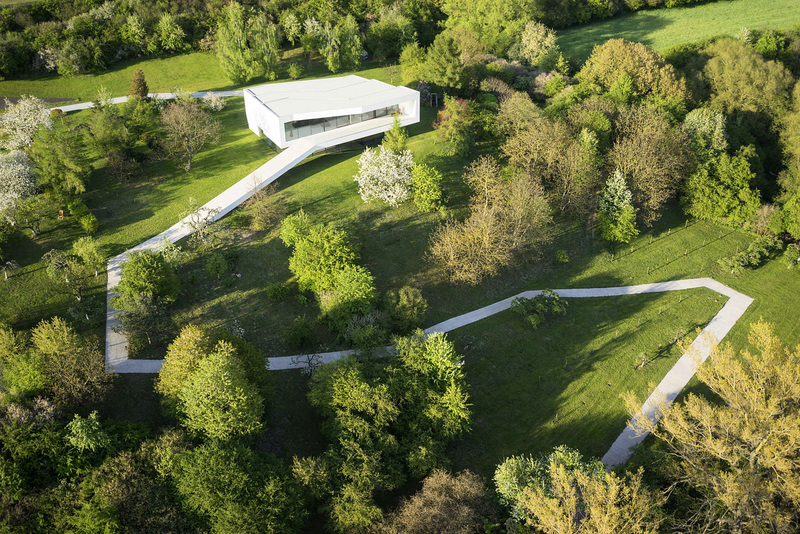 And don’t forget to check 15 creative modern wooden houses and 15 modern tiny houses.